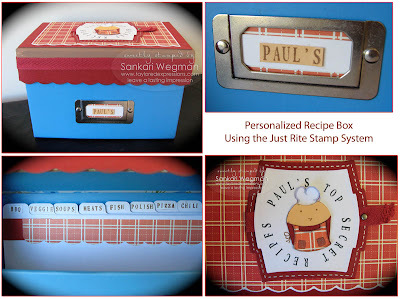 Today I am excited to show you a project that I have been working on for my Father-in-law who loves to fire it up on the grill :) He loves to cook and has some awesome recipes - so I thought I would make a personalized recipe box for him to go with the BBQ set. 3. 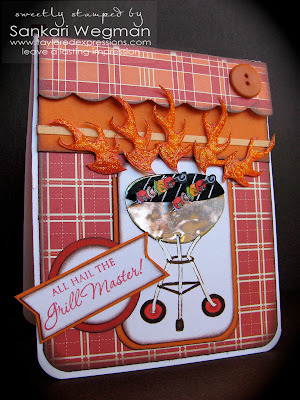 Created a little tag from this stamp set that reads: All Hail the Grill Master! 8. For the BBQ section, I stamped one of the skewers from the Boys will Be Boys stamp set. 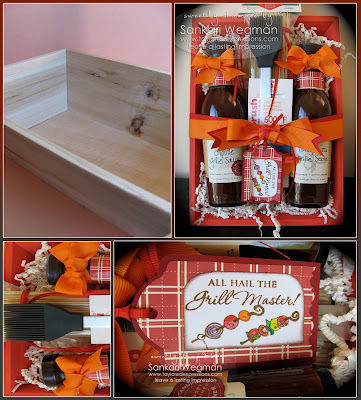 I had so much fun creating this little father's day gift for my Father-in-law because I know he will love his new BBQ goodies :) and it was so easy to create with all the fun products at the Taylored Expressions store!!! Don't forget to sign up for the newsletter (button on the right side of this blog) so that you can get all the most recent information and inspiration from the Taylored Expressions store!!! This is absolutely beautiful Sankari. I would love this for my husband! You put so much work and love into this item . . . This is quite an amazing set of goodies for Dad! He's going to love it! 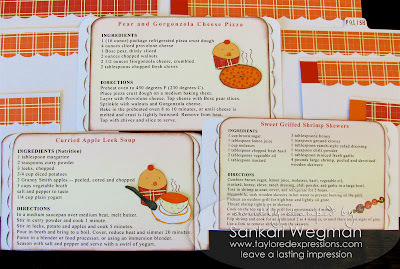 I love to see how your cardmaking skillz branch out to create something so sweet and varied and personalized as this. Wow that's awesome. You're putting me to shame! WOW, Sankari! What fabulous sets! They are unbelievable. . .you are SO talented! You go girl! Oh my goodness Sankari...you are so brilliant! You are so skilled, but with this one you have totally outdone yourself! I am breathless. You have just earned major points not only with your father in alw, but with all of us! WOW! This is fabulous! The entire thing is fab, but I think the card with the flames coming off the top is my favorite part! Your really ROCKED this! Hey, Sankari, can I borrow a cup of mojo? 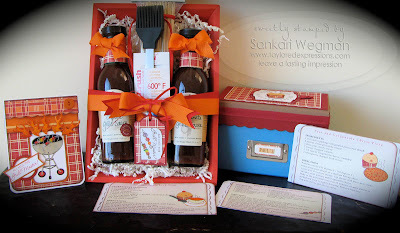 What a fabulous gift set Sankari! Wow! You knock my SOCKS OFF, girl!...you know that? This is AWESOME!!!! Sankari you have outdone yourself on this project. You are so talented, but this takes the cake. Or BBQ. The whole design is awesome. What a fabulous idea. This is just awesome Sankari!!!!! All the love that has gone into this thoughtful and very creative gift set speaks a lot of the bond of love you share with your FIL. Anuja loves your creativity. YOU...are truly amazing. I am in awe of this whole project!! Just amazing! Love the gift set and all the fabulous details...WOW!